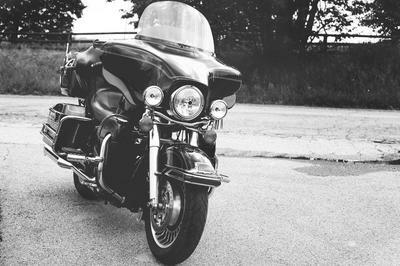 While many motorcycle riders enjoy the freeing feeling associated with riding motorcycles on roads throughout Massachusetts, the truth is that motorcyclists are frequently exposed to serious injuries when they happen to be involved in motor vehicle accidents. The inherent lack of protection afforded to motorcycle riders often means that these individuals are usually susceptible to much more severe injuries in most crashes. Did you sustain extensive injuries or was your loved one killed in a motorcycle crash anywhere in Massachusetts? You will want to contact The Law Offices of Jeffrey S. Glassman as soon as possible at (617) 367-2900 to have our personal injury lawyer provide a complete evaluation of your case. Many motorcycle crashes are the result of another driver’s negligence. In some cases, a motorist may have been operating under the influence (OUI, commonly referred to as driving under the influence or DUI, or driving while intoxicated or impaired or DWI in other jurisdictions) of alcohol or drugs, while some drivers may have violated state or local traffic laws by speeding or driving recklessly. Distracted Driving— Some drivers simply do not pay attention to the task at hand and may cause crashed by talking or texting on cell phones while driving. In many cases, motorcycle crash victims will require extensive medical care. As a result, many victims are immediately overwhelmed by medical expenses. Not only can recovery take several weeks, months, or even years, but many victims are also unable to return to their regular jobs. Some victims are completely unable to work again in any meaningful capacity. The Law Offices of Jeffrey S. Glassman understands the challenges that these people face in every aspect of their daily lives following a motorcycle accident. When one of these crashes is the result of another party’s negligence, our firm can work to make sure that party is held fully accountable. If you suffered severe injuries or your loved one was killed in a motorcycle crash in Massachusetts, it is in your best interest to contact The Law Offices of Jeffrey S. Glassman as soon as possible. Our firm will work tirelessly to help you obtain all of the compensation you are entitled to. Our Boston personal injury attorney can deal with insurance companies on your behalf and negotiate a fair and full settlement or file a lawsuit if the insurer is unwilling to provide you with what you deserve. You can have our lawyer review your case and discuss your legal options when you call (617) 367-2900 or contact us online to receive a free consultation.